Mario Kart Wii has been a huge hit for Nintendo, showing just how strong the Mario Kart series can be. I’m sure it will receive a warm welcome in South Korea as well. 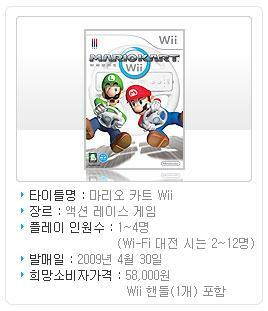 This title will hit South Korea on April 30th, 2009. Thanks to NormalGamer for the heads up!